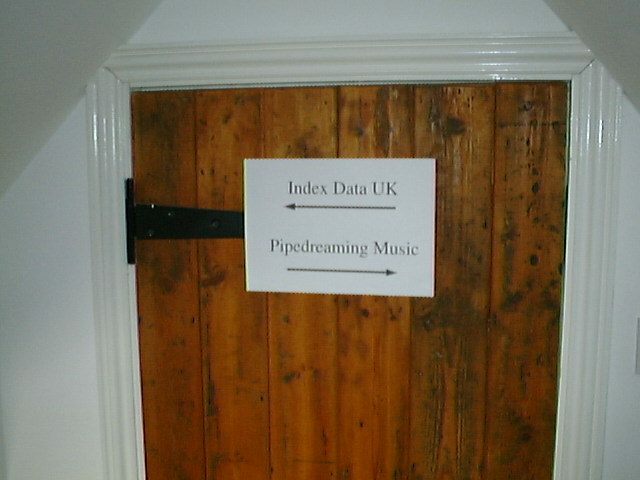 Close-up of the entrance to the office shared by Index Data UK and Pipedreaming Music. The plan is to replace the printed sign with a nice brass plaque when we get around to it. I tried making the sign in HTML, MS-Word and TGIF before finally managing it as a single-slide Powerpoint presentation.